In life Gaius was a warrior of Rome, He fought its battles and expanded its borders. He was a fighter, and that came with him even as he died. He stands well over six feet tall and is broad shouldered and well muscled. His veins stand out against his ashen skin. He wears the bastardized armor of a centurion, the Roman Eagle replaced with a far darker counterpart. This armor is cracked, but despite that it is still more then sound. His purple cloak falls t the ground and seems to almost have a will of its own, moving against the wind at times. The demons eyes glow a warm, almost soft red. At his hip is an officers gladius, its gold pummel shining brightly at his hip. His under cloths are the same purple as his cloak mixed with the browns of the leather. Gaius while in his mortal form is still an imposing man. He stands just as tall as his demonic counter part, if a little less broad in the shoulders. His skin is some what tanned with out looking leathery, with well defined muscles that move well with his body. As for hair, he has very little. His head and body both devoid of it, with the only visible example being his well maintained goatee. His eyes are dark, and his face is rather stark and sharp... Everything about him seeming hard and almost brittle. A red tribal tattoo covers part of his body lending him a rather exotic look. Gaius a very odd man. On the surface, he appears to be somewhat laid-back individual that can appreciate a beer, a scantily-clad underwear model, a pair of aviators, and a patio deckchair on some random beach. He tends to epitomize the typical stereotype of 'action hero', and then takes it a little further past that extreme. He appreciates everything you'd expect a man of his appearance to like. Fast cars. Naked women. Shotguns. But behind all this there is something of far more substance, though it is not as agreeable as the facade he puts on on a more routine basis. Though he does enjoy the finer things in "life" he doesnt often get to experience them. Hell after all... Is hellish and he hates it and rightly so. Honestly he despises his exsitance and stops at nothing to escape the confines of what he sees as his prison, often going to lengths to be summoned by any would be Ritualist. But what may be oddest about him is that he is a creature of honor, and even though he may lie at times he will never break his word once given. In fact, he tends to be "loyal" to those he happens to be serving, though once the stipulated amount of time has passed(Agreed on before hand) he may or may not turn on the one that was his master. What drives him to do this no one but he knows, and he wont talk on the subject. Other then that, he tends to search out ways to expand his power, if only by making the acquaintance of various other powerful figures. Why you might ask? Well the answer is simple. He is not nearly as powerful as some of the other beings the roam the world with him, and if he can get on the "good" side of at least one or two if only for a little while well... He gains a certain sort of acclaim in and of its self. Gaius bonds rather quickly with his mortal hosts and as such hates to see harm come to them. He views it as a waste of valuable flesh, but whats more, he sees it as a breach of contract to allow permanent physical harm come to his hosts bodies. After all, it its more then slightly self destructive to allow those that could spread his names and summoning rituals to die prematurely. Long before the dawn of man, strife was already a major component of life. Wherever a creature shared a piece of land with another, it was just a matter of time until a struggle for resources would ensue. Man was no different, showcasing a perverse fascination with violence. Man and civilization brought forth more innovative ways of taking human life than any other function needed for survival. There are more ways of killing a man than there are ways of making bread or making love. While the latter two are quite limited in scale, man has gone beyond imagination with his capacity to destroy life with one push of a button. It is mans defining accomplishment, his addition to the circle of life and men since the beginning of time have made it their life's mission to perfect the taking of life. Some of course did it with nothing but words. Grandiose speeches that fire the hearts of men to new murderous high. It is these men that fill the annals of history, not those who's passion for killing drove them to pick up a blade and listen to those speeches. But it is on the shoulders of those men, those faceless thugs that all history is rested. But which is more important? Those who kill with word? Or those who kill with blades? Nether. To wage war you need both, and it is this simple yet complex truth that defines Gaius. He is both a poet and a savage, a killer and a saint. He is everything that defines war and those that wage it and as such he has two drastically different sides to his personality much like that of his overlord Belial. One side is that of the Immortal warrior. The hero. The killer. He who wades into battle with sword in hand and fire in his eyes seeking out his own death on the tip of a worthy adversaries sword. He is a whirlwind of death, anger, and destruction filled with nothing more then hate for those who would stand against him. The flip side of that is his antithetical side,he who speaks with fire and passion. He who leads and fight with a cold calculation. But whats more he can motivate others with simple words. He is a statesman and general who know how to garner the respect and love of those around him. And though he speaks with a calm determination, he still exudes a sense of energy that captivates those who listen to his impassioned speeches. But in both aspects he is indomitable, willing to bow few others and even then his head stays high. The life of a soldier is not one filled with honor as most tend to think. No, the life of a soldier is filled with killing, horror and brutality. It is filled with long days, short nights and more often then not... The life of a soldier is cute tragically short. Though some are lucky to live long lives filled with murder, and Gaius was one of these "lucky" few. For twenty years he fought, for twenty years he killed and watched those around him be killed in return. It was said that he had the gods own luck, after all he had survived more battles on the front line then any other about him, he had lived where others would have died. But as luck is wont to do, it changed rather suddenly. But not just for him, but for the entirety of his legion. What happened is but a blur to his minds eye, but their death had not been swift. It had not been merciful. It had not been honorable. But it had been painful, each and everyone of the survivors tourtured to the brink of sanity, tortured tell they begged for death... And it was then and only then had they been killed. Gaius of course lasted the longest, he had endured the most, but in the end he had died like all the others though hes still not sure if he begged for his life at the end of it all. He thanked the gods that be when he finally fell into the oblivion that was death. What came next he could only remember in a blurry haze, as the pain of his past sins threatened to over take him. Yet... Some how through some unholy miracle it didn't consume him. But when he awoke... Everything had changed. The world about him was different yet... Some how the same. How had he gotten there? What had happened? These questions and more floated through his mind... Yet he could not find their answers. He wasn't sure he wanted to. Soon through an understanding started to form. He was in the underworld, one of its thrice cursed inhabitants doomed to wander the blighted and blasted landscape for the rest of eternity. So for years uncounted he roamed, fighting for his new existence even though he wished for nothing more then for it to end. 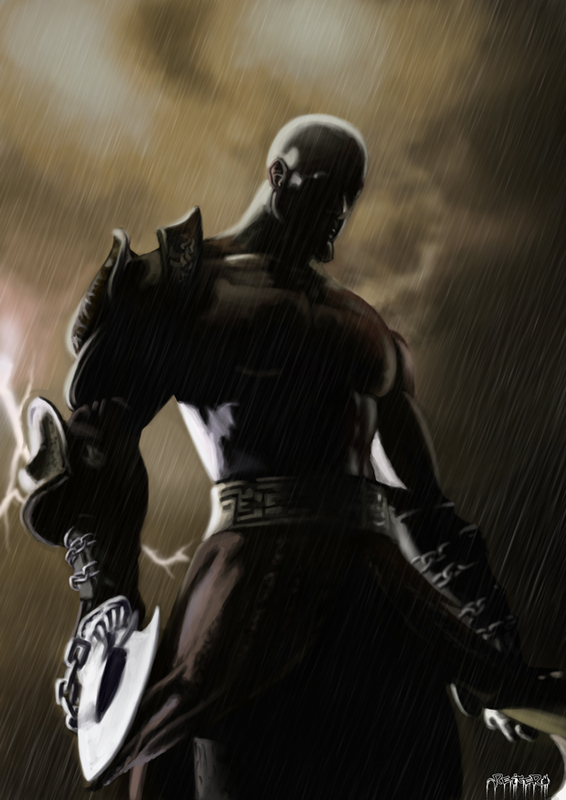 He fought battle after battle as he did in life, his sword always seeming to be wet with the ichor of his slain foes. One day though, all that changed. He could hear his name being called from some where beyond this existence and he couldn't help but fallow it. The names this voice spoke, resonated with his soul, they spoke of his true self and his core being. What came next was as shocking for him as it was for his wood be summoner. But in a flash he was in a fight for control... The one that had summoned him had not stood a chance. In an instant their body was his... And they where but a soft voice in the back of his mind... Screaming to be let loose. He could have crushed that mind at any time... But he didn't. He let it speak, and soon a deal had been struck. Power and knowledge in return for the fools body on occasion. And so it went for years on end, fighting in Inferis, vacationing in the human world... And living a life that was all to confusing. To this day Gaius continues to be summoned to the human world with alarming frequency, but as of yet he has not found a human whos mind he could not over power or at the very least trick. This being the case, he often switches between hosts for after he has dominated their mind he can easily find his way to them again. Though he makes sure that this relationship is a two way street, for he offers knowledge and power in return for use of their bodies. It was during one such outing that he came across a man he found that he had interest in, and he lured him back to the rip in the veil... Or so he thought. In truth the one he had picked out had been Mammon in disguise. He had managed to survive but it had cost him a promise and a host in the process. With the approach of Gauntlet of the Allsmith a sort of lunatic energy had over taken Gaius. Sequestering him self away in a hidden corner of the Undercroft, Gaus set him self to train. Hunting down adversary after adversary, challenge after challenge but in the end nothing satisfied him. Why? He used to enjoy the simple thrill of the fight... But he no longer found these small easy battles worth fighting, and soon his very presence drove the demons of the Undercroft to flee... At least some of them. A few groups flocked to his banner, seeking his protection and leadership. His skill with the sword is near unconceivable. After centuries of training there are few if any that can match his skill in his fighting style or with a blade in general. While not the most charming of people, his force of personality makes it hard to say no to him. He does not feel physical pain. His body is so used to the torment of the other world that it no longer registers. INCREDIBLY resilient to all forms of bodily punishment, his body hardened from the unlife he has lived and the torments he has suffered and inflicted on others. This resistance to damage has progressed to the point that hes now more resistant to blunt force impacts. While blunt can still hurt him, the average club just bounces right off of him and most normal small arms ammunition don't manage to penetrate his dermal layer. Now that he has spent more time in combat, his hide has increased in resilience to the point that anything short of armor piercing .50 rounds fail to deal any significant damage, this of course is amplified due to Gaius's apparatus. Though the use of slashing weapons(Such as swords) still damages him as per normal. Along with this he has gained an impressive tolerance to the elemental effects of Inferis and takes near twice as long to die due to exposure. Note: The concussive force of a gun shot can still cause harm, though it would take one hell of a bullet to create enough force to do so. He is STRONG! 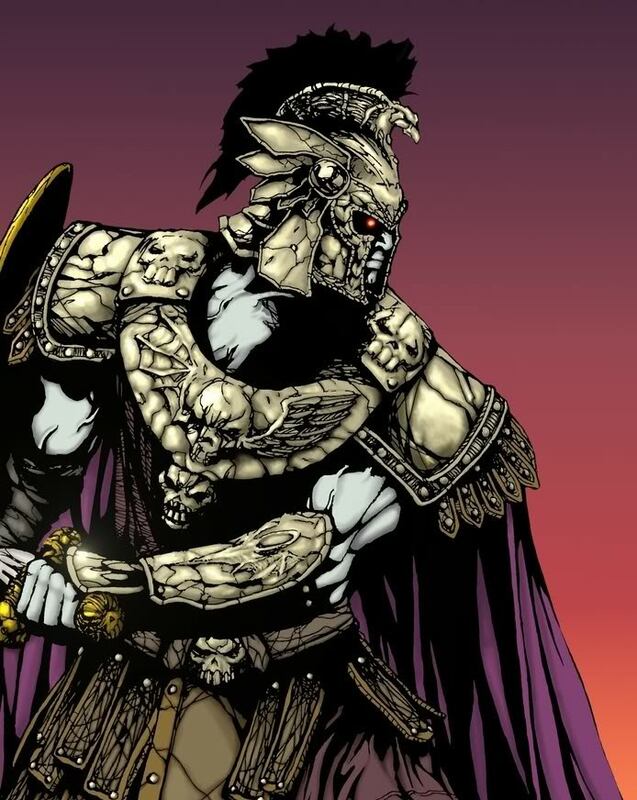 After spending a sizable amount of time fighting against foes with far superior strength in both the Undercroft and the Necropolis he is now much stronger then he had been before. Easily able to lift a midsized Truck(around 13,000 lb pounds ) and or shatter a demons skull in his bare hands. Gaius has gained a working knowledge of tactics and strategy that can rival any of the generals in Inferis or the real world. This is part to his recent contact with an unknowable power source and his innate abilities to understand the flow of battle. Gaius has gathered a warband formed from the Demons of the undercroft, mostly composed of Blood Swords, Centurion demons, Faceless Champions trained Underbeasts, and hawkscouts with some higher ranking demons(Such as Liches, Arcanist's and Tourus Demons) mixed through out, he has added his forces to those of Eden, making that organization the single largest demonic army outside of the Hell Princes them selves. As of this moment, his warband numbers at five-hundred. Salt. He just loves the stuff, but oddly enough he cant pass through a door way marked with a line of salt, nor escape a circle of salt if it is drawn about him. His existence is tied to the sword and shield he carries. To destroy them would be to destroy him. Once his promise has be given, he can not break it. To even try to do so causes more pain then even he can withstand. Psychic and emotional pain tend to cripple him rather fast. He is not used to dealing with his emotions and as such is not able to cope with them. Gaius is an avatar of war, strife and anger and just being around him can fill ones mind with violent thoughts and emotions. - Enjoys being in the human world more so then most, and often binds him self to human summoners. - Is a demon almost wholly devoted to excess and feeling good, but since he cant indulge most of the time that part of him his hardly ever seen. - Thanks to centuries of practice, Gaius has honed his skill with the blade to a remarkable level. There are few swords men that are his match. - His body is incredibly tough and resistant to damage thanks to his years spent in the various spheres exposing him self to everything Inferis has to offer. - After centuries of living life in Inferis he has become disconnected with his more human emotions resulting in a being that is unpredictable to most humans. - Might well be the most summoned demon in history. - HATES BEING CALLED "THE SPARTAN"
- FIRST LEVEL TWO CHARACTER ON SITE!!! - Has tamed a wild Nightmare to act as his bonded steed and as a form of transportation. Years and years... I honestly cant remember how long. Archive date is the 4th May. 1] Tone down the steel skin cause it's apparatus-quality at the moment, especially in line with the above-average and beyond superhuman strength, or give it some form of drawback. Resilience to either blunt OR sharp attacks would be fine - "tempered steel" just sort of can't fly without some addendum. If you're ever up for it, I want a Alice/Eris/Gaius thread. Moreso now. 1] Skills: Skin strength; clarify that the concussive effects of gunshots will still have some effect on him. 2] Skills: Clarify around how high this demonic army numbers. I'd say 500 or so is a good enough size for EDEN's warband until they become a truly MAJOR player - don't worry, I have plans for that.